You may contact us via email at austinchessclub@gmail.com. This is the best method of contacting us, and will ensure a timely response. If you are scheduled to play and cannot make the round, please send us email before Sunday at 10:00am or, if that's not possible, leave a message with your name at 512.535.5062 (Austin Chess Club Tournament Hotline). This phone number is attended by an answering machine only; please use the number only if you cannot make a scheduled game. Thank you. Please note, we are not affiliated with any scholastic chess tournaments that are held in the Austin area, nor do we normally have any information about them. 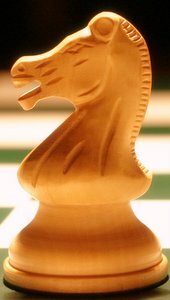 Please check out www.austinchesstournaments.com as a potential source for more information, a list of local chess coaches, some of the upcoming scholastic tournaments, etc.